Even though the United States eliminated malaria in the 1950s, close to 1,500 cases of malaria are reported in the U.S. every year. In addition, close to 3.3 billion people, in 106 countries live in areas at risk of becoming infected with the disease. According to the Centers for Disease Control and Prevention (CDC), malaria is one of the most severe worldwide public health problems we face today. Malaria is an infectious, life-threatening disease that humans can get from plasmodium parasites that are transmitted from a bite of an infected Anopheles mosquito. These mosquitoes usually bite during dawn and dusk. Though cases and deaths of the disease occur predominantly in sub-Saharan Africa, Latin America, Asia, Europe and the Middle East are affected, as well. International travelers from areas free from the disease are at a higher risk of getting the disease if they become infected. 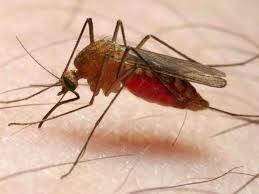 Malaria parasite kills close to 1.2 million people each year — it infects 300 to 500 people yearly, as well. The life-threatening parasite is found in the red blood cells of an infected person and can be transmitted through organ transplants and blood transfusions tainted with contaminated blood. Syringes with contaminated blood, or shared use of needles can also transmit this deadly disease. It can also be transmitted from a mother to an unborn infant. Fortunately, the life-threatening , infectious disease is not transmitted from person to person. Humans are more susceptible of being infected with the parasite virus if they predominantly live in a non-infected area and visit an infected area. The CDC provides a list of all the places in the world where malaria transmission occurs, as well as the type of preventive drugs that are recommended for each place. A healthcare provider can help to determine the best drug for travelers to these infected areas. Thanks for making us aware that Malaria is still ongoing. I hope one day there will be a cure.